Two families vie for power as you settle a new provincial town. Build camps and banks, smithies and harbors and control growth as your town develops! 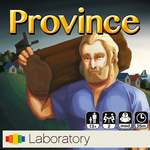 Province is a two player game where you must strategically manage your resources and workers to build, complete goals, and score the most victory points to win! 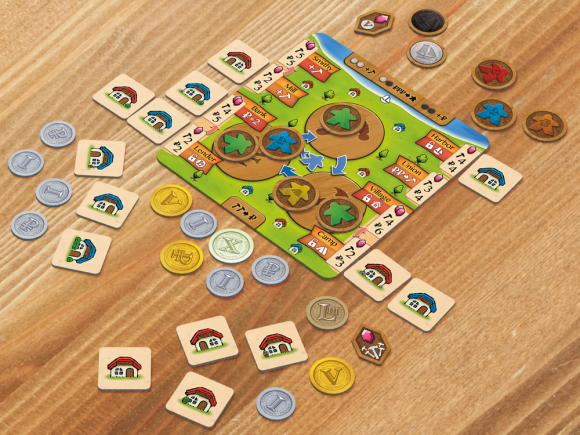 The game features a communal worker pool representing the available workers in your town. Players move their workers to generate resources (Labor and Coin) that are used to build the various Structures, which in turn effect resource generation. But your opponent can also move the workers leaving you without the resources you need! Add a Review for "Province"